According to social media users, he's a familiar sight on the Miami road. The ‘Priyanka Sena’ includes 500-odd Congress members dressed in pink uniform who claim that they will lay their lives down, if needed. 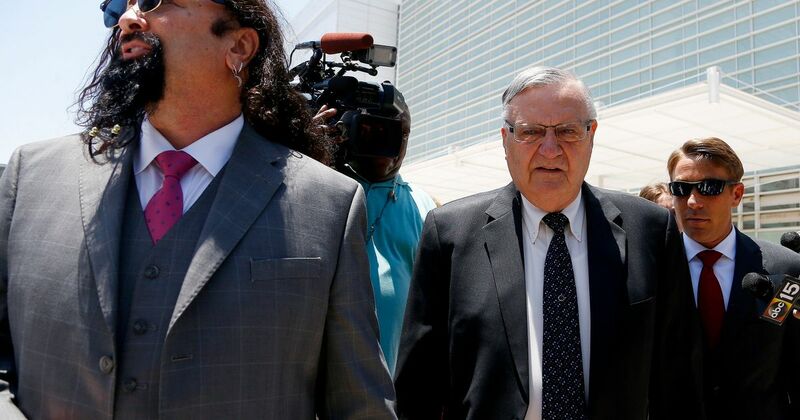 Joe Arpaio built a national reputation as a staunch opponent of illegal immigration while sheriff of Arizona's largest county and found a powerful ally in President Donald Trump, who pardoned him last year after he ran into legal trouble. A local court on Monday acquitted right-wing Ram Sene President Pramod Muthalik and 30 others in the pub attack case here in January 2009 for want of evidence. On Dec 16, 1773, to protest against the tax on tea, a group of Americans disguised as Mohawk Indians dumped hundred of crates of East India company tea at the Boston Tea Party, in Boston Harbour. After a few weeks off the air, "Last Week Tonight" returned to HBO on Sunday night with a blistering segment on Joe Arpaio, the former Maricopa County, Ariz., sheriff recently pardoned by President Trump. “Sheriff Joe” delighted in humiliating immigrants. Now he’s in disgrace. The former Maricopa County sheriff routinely pointed to the notorious outdoor facility as a symbol of his "tough on crime" stance. The new sheriff says it is costly and not a deterrent.